Interested in helping out with any of our ongoing projects? 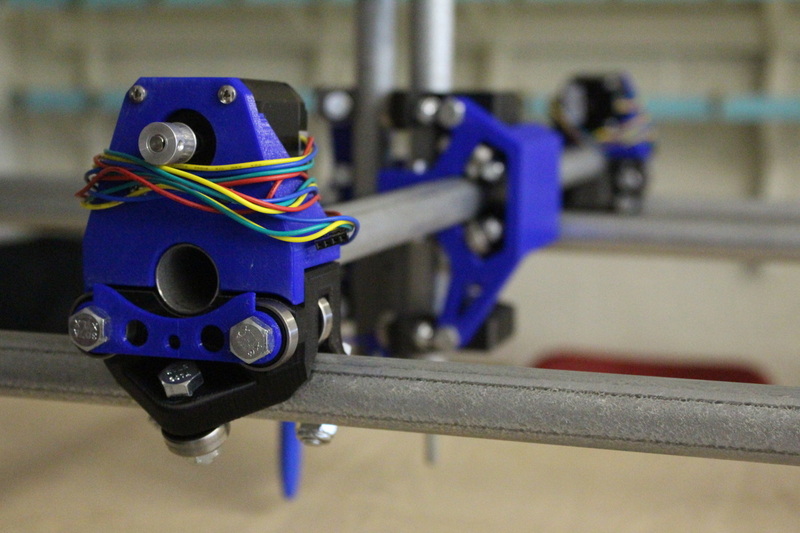 Send us an email at info@frederictonmakerspace.ca. Are you a master thief? Join is at the Area 506 Festival and run through our laser maze to test your skills! Processing + Arduino + lasers, lights and sound! We've partnered with The Ville and Ignite Fredericton to completely renovate two rooms on the first floor of the original 1926 school in which our Makerspace operates. 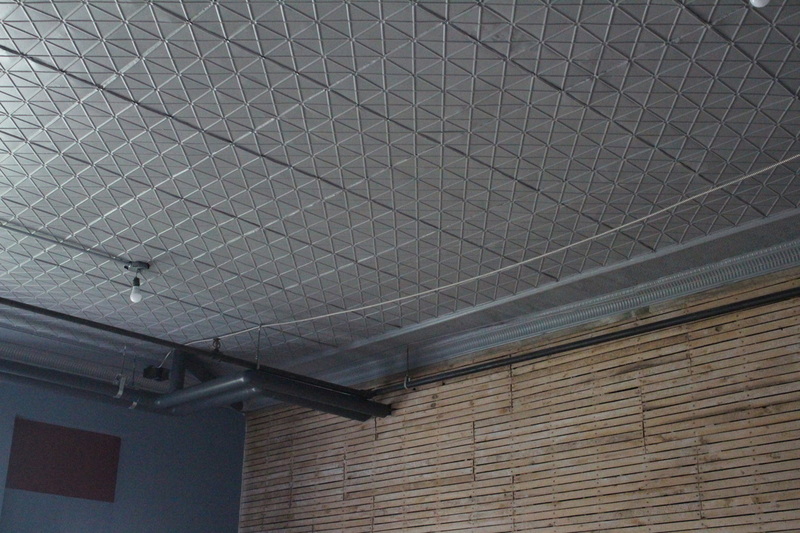 ​We've honored the history of the building by restoring the original tin ceiling, hardwood floors and trim. Desks designed and built in-house, from reclaimed barn board, and a stunning accent wall contrast the historical elements and give the space a modern, industrial touch. 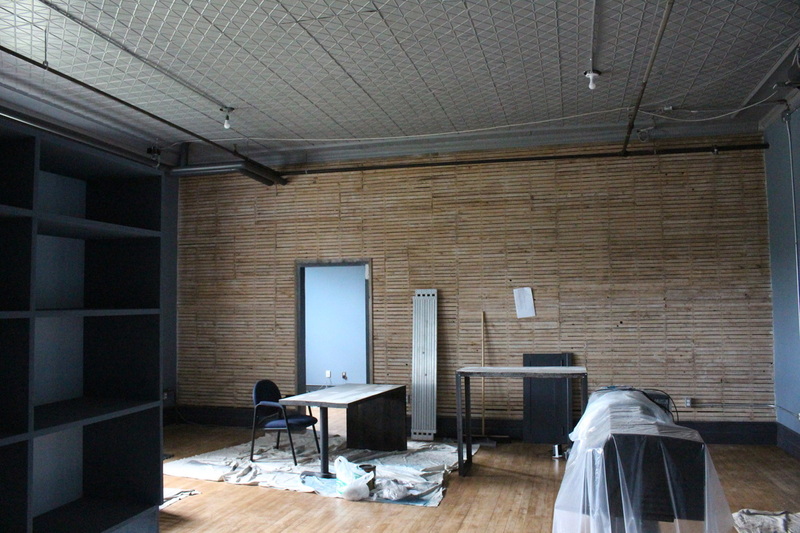 These rooms are almost ready to be used as a buzzing center for entrepreneurship and social enterprise, linking the prototyping abilities of the Makerspace with Fredericton's entrepreneurial ecosystem. However, we still need a few volunteers who are handy with a drill or paintbrush (or willing to learn) to put on all the finishing touches! 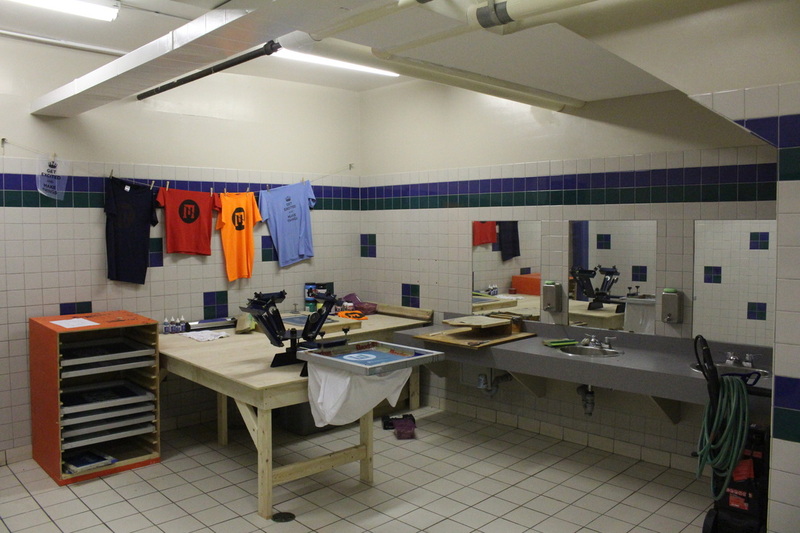 We've found a perfect space for all our professional quality, small scale, screen printing equipment. We only have a bit more work to do to turn this old bathroom into the ideal screen print studio with an attached dark room that can be used for photo developing too! Some basic plumbing skills would make you a great volunteer for this project but, as always at the Makerspace, the willingness to learn a new skill is the only real requirement. 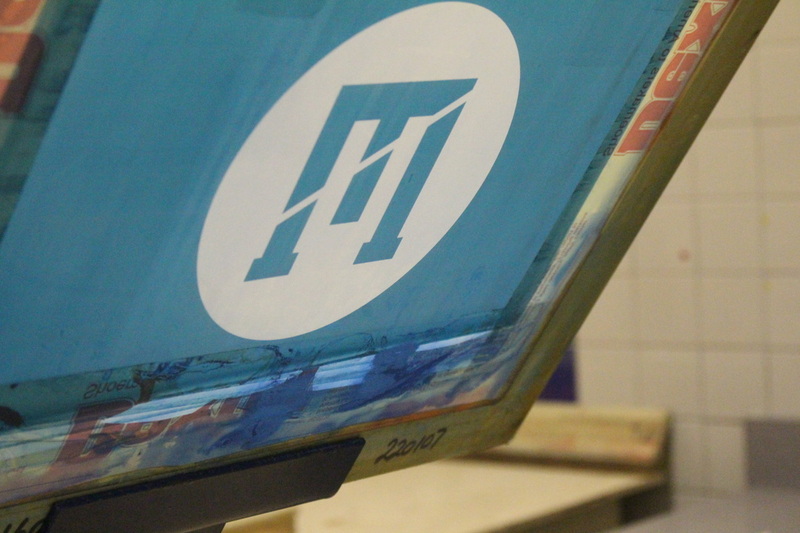 ​Screen printing is very versatile and this space will allow individuals, community groups, or businesses to create their own high-quality, custom clothing, promotional items, art prints, and much more! 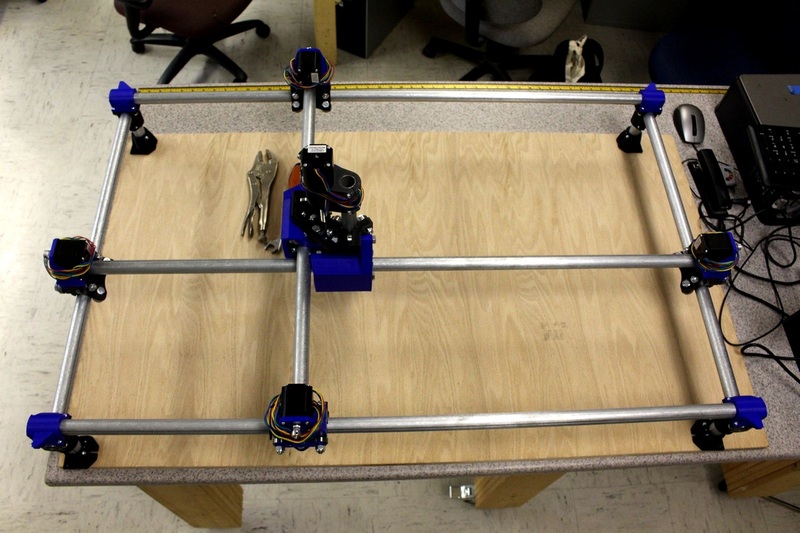 A CNC (Computer Numerical Controlled) router is a versatile tool capable of very detailed, 3D cutting of wood and other materials. This fairly old technology has become more accessible since the advent of 3D printing and a group of our members here have decided to build a table-top unit for the Makerspace!